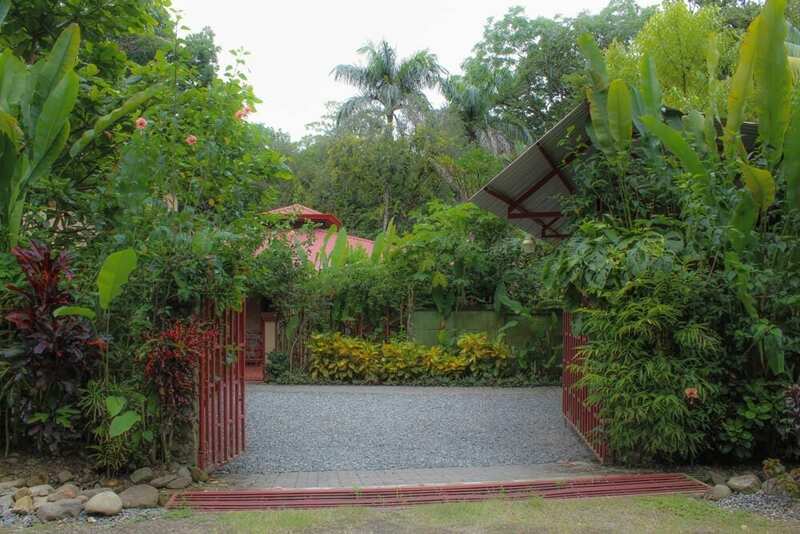 1 ACRE – 3 Bedroom Home With Pool And Great Access!!! 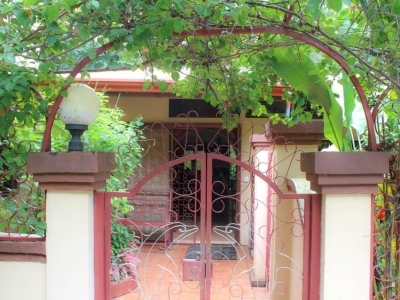 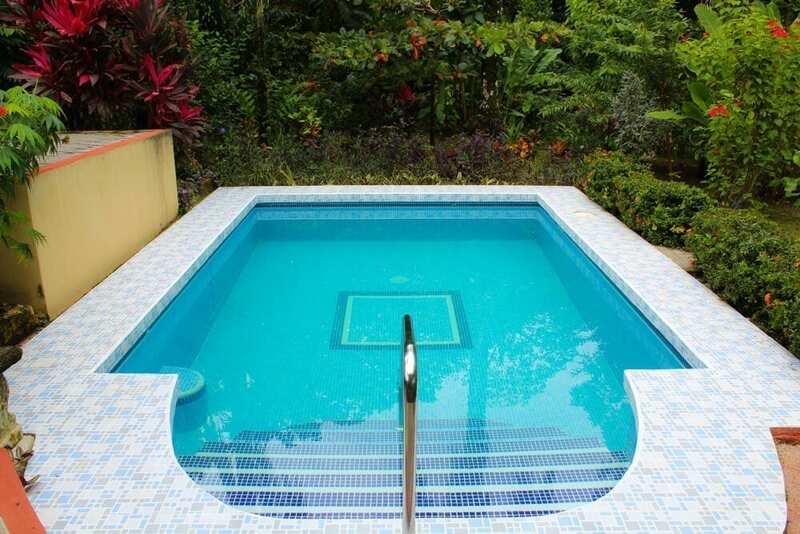 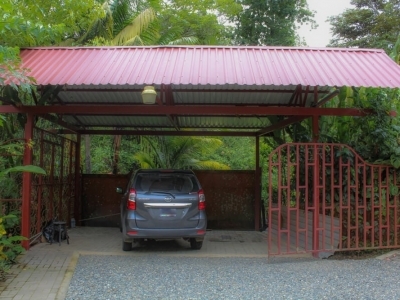 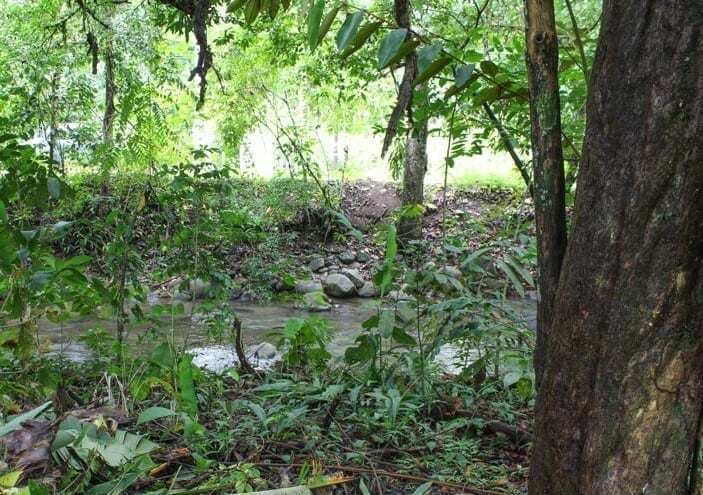 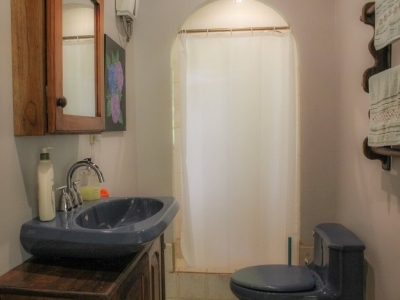 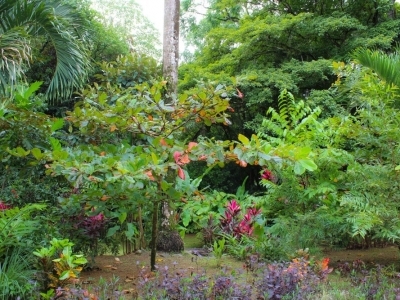 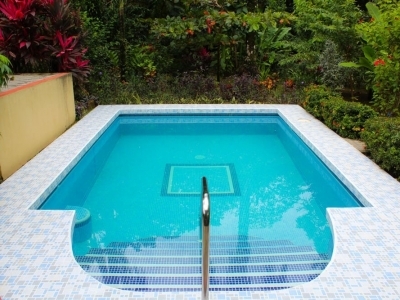 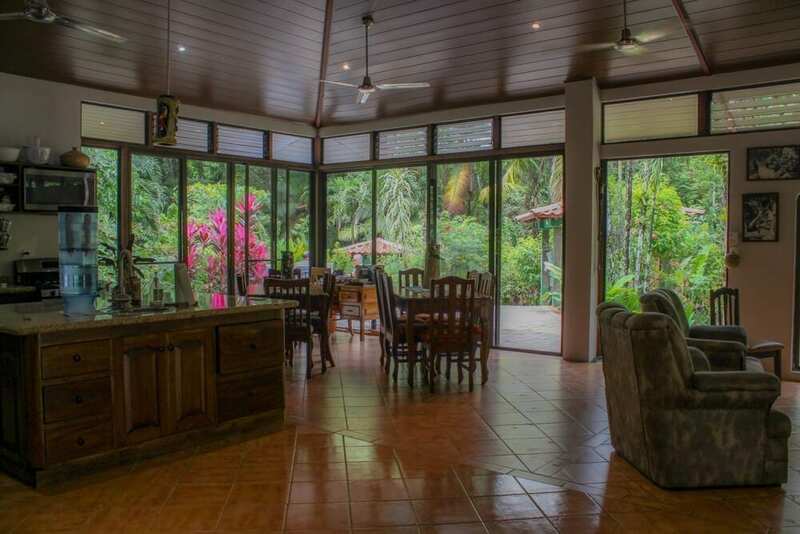 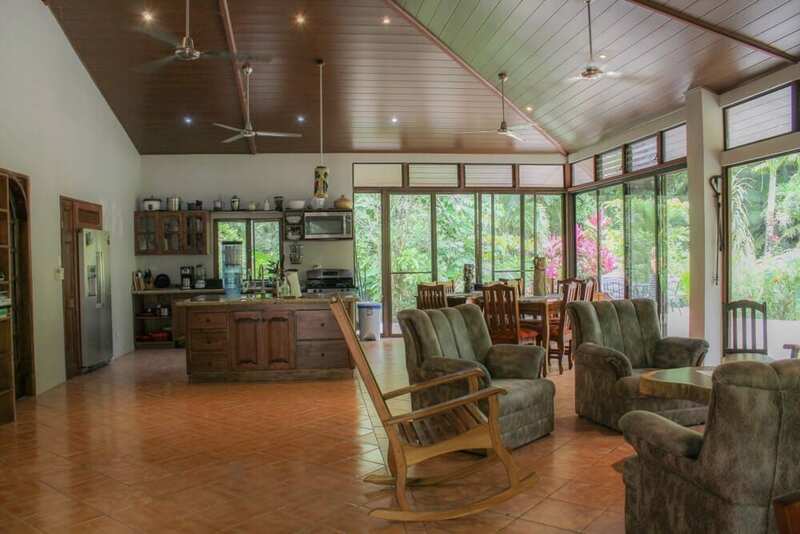 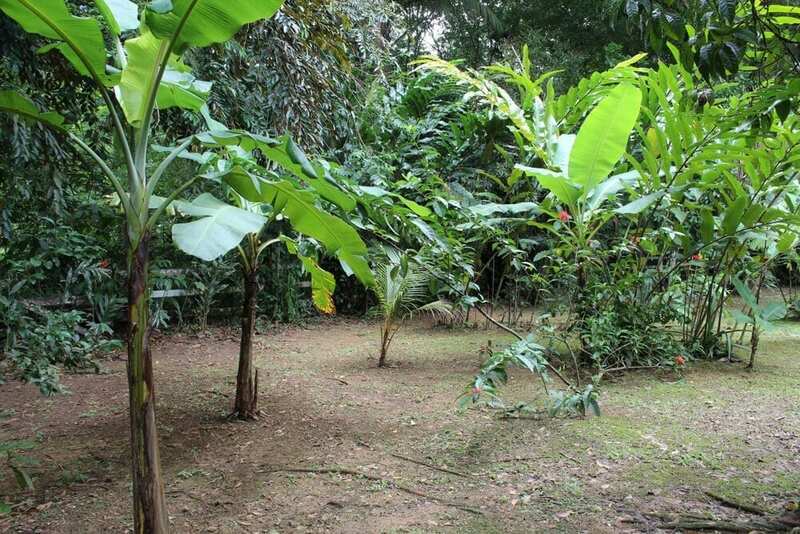 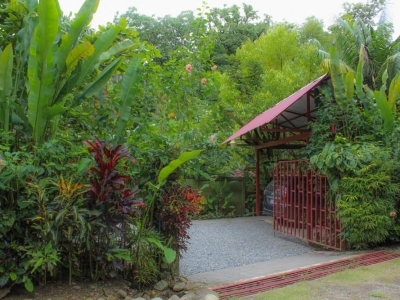 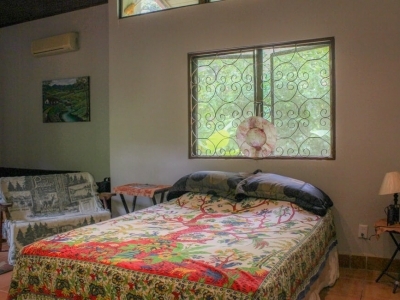 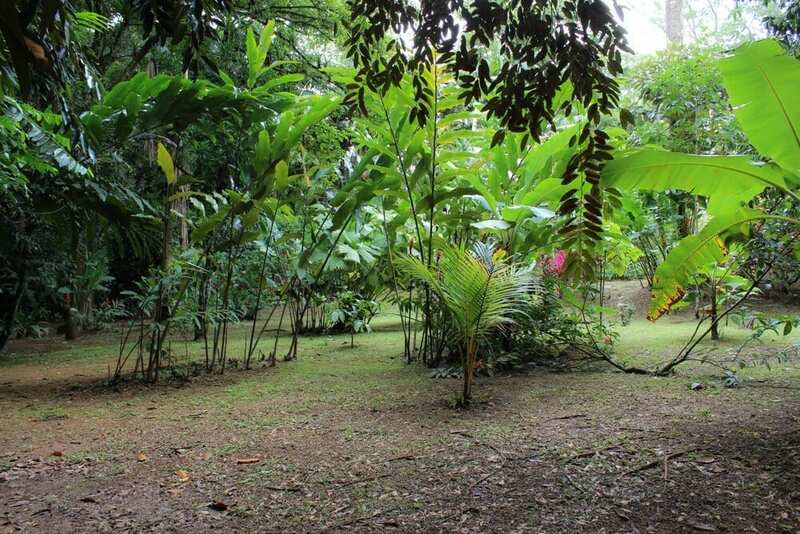 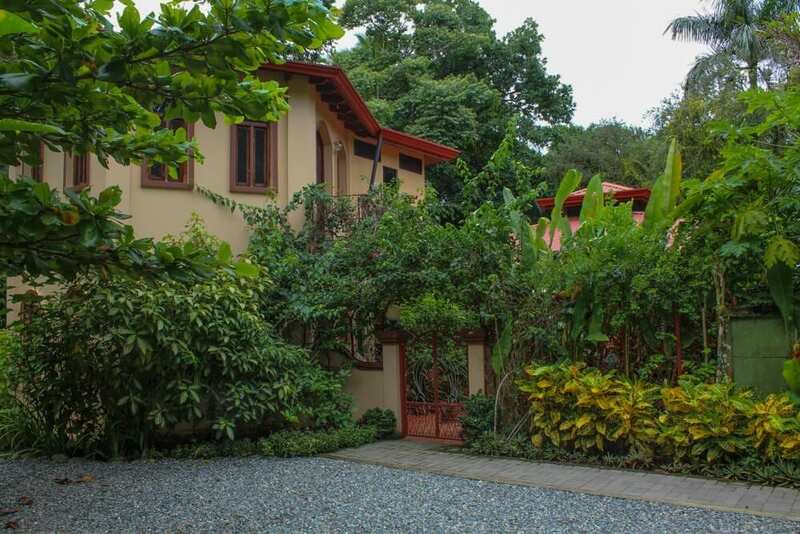 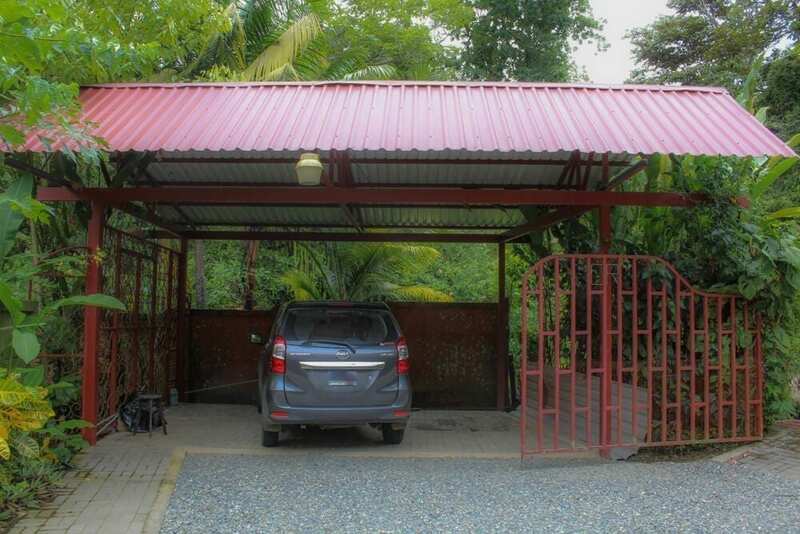 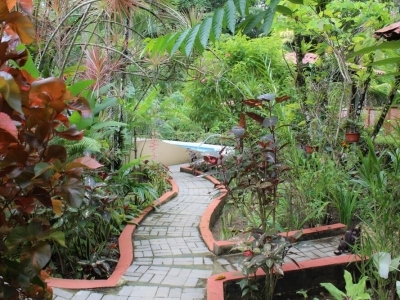 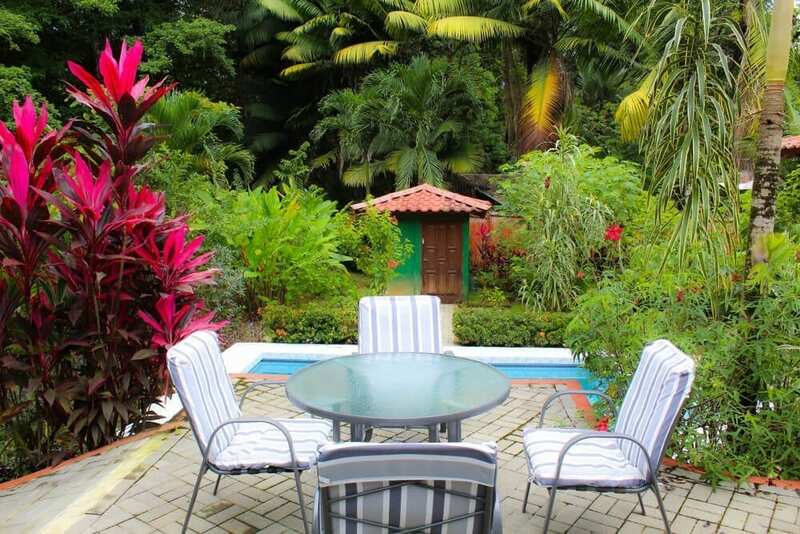 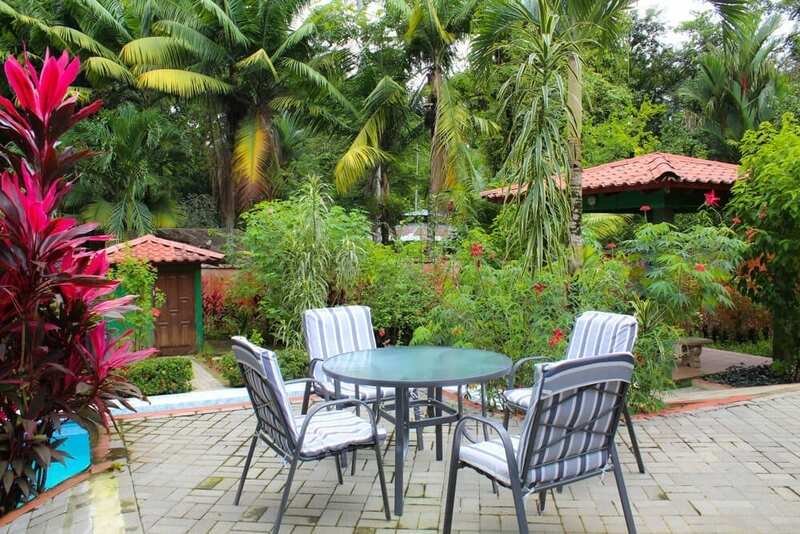 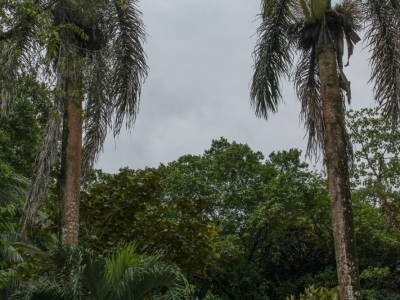 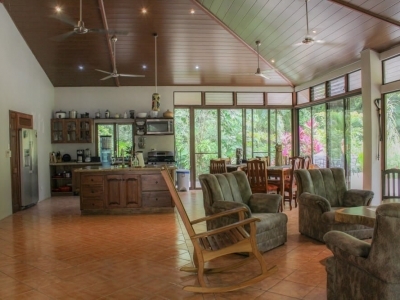 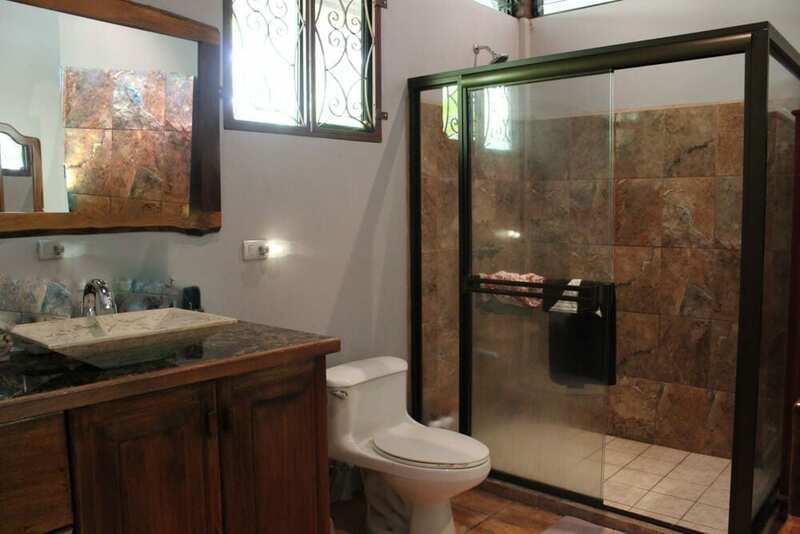 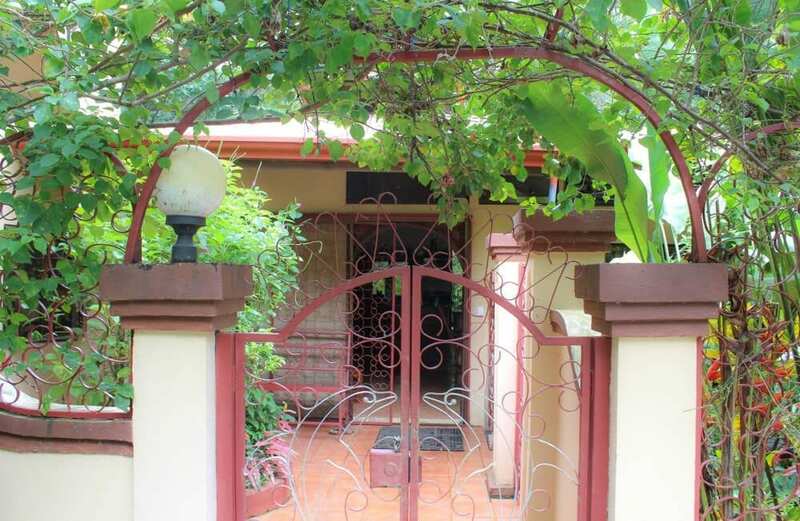 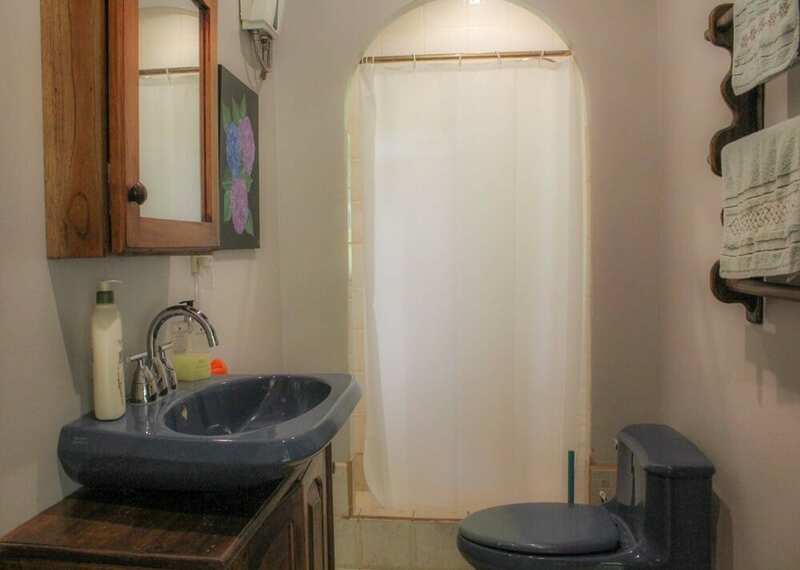 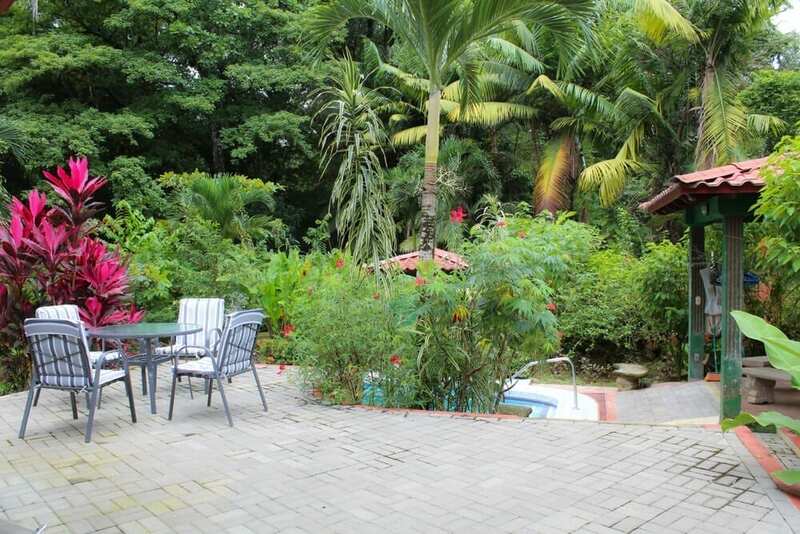 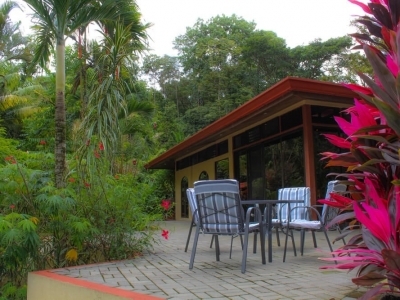 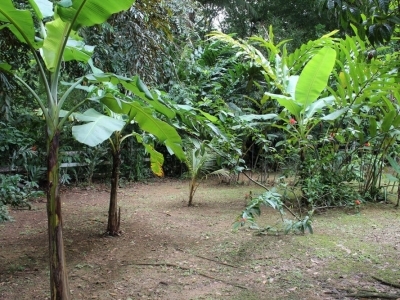 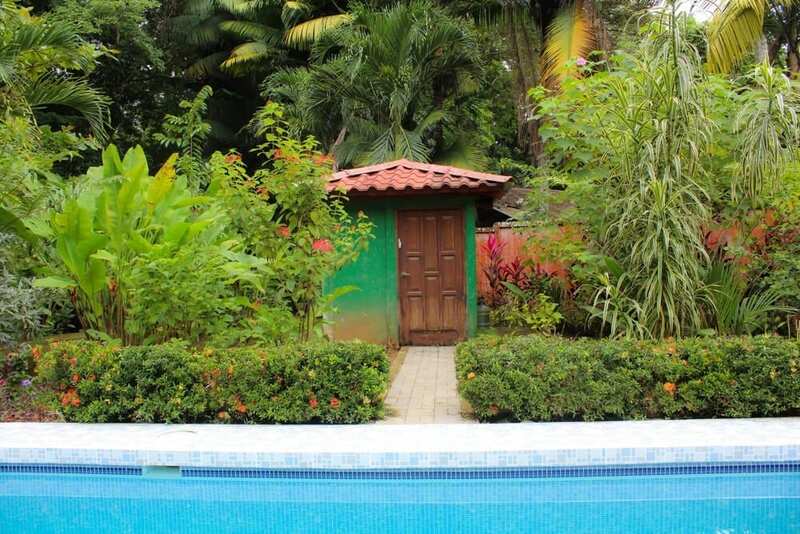 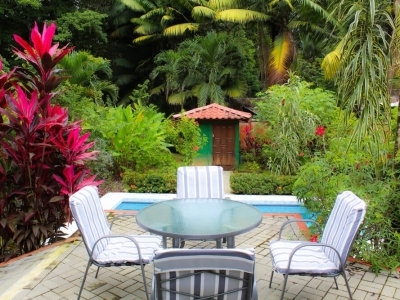 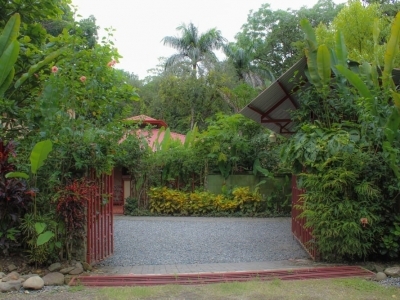 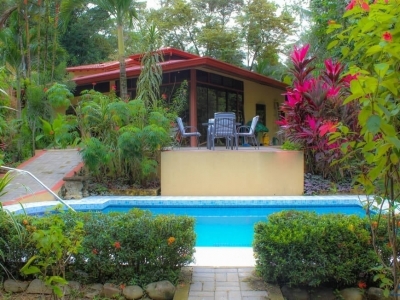 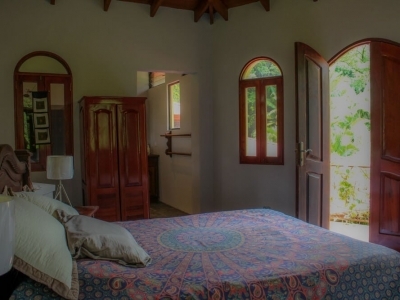 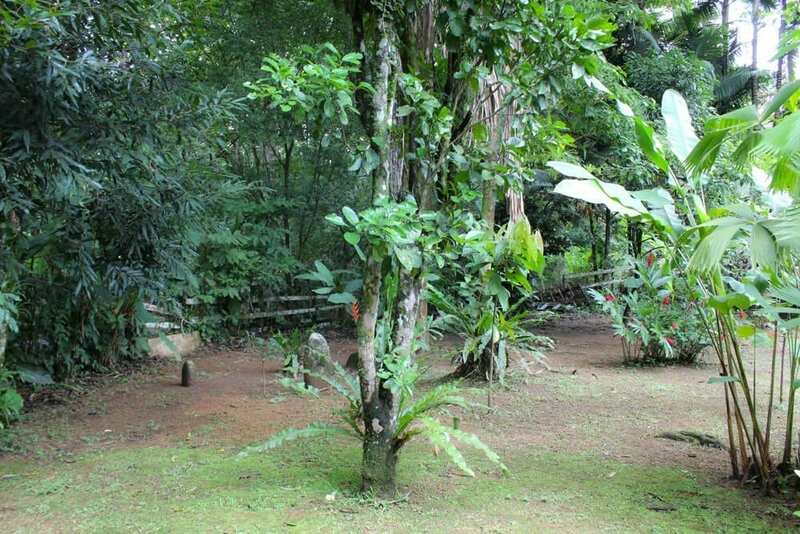 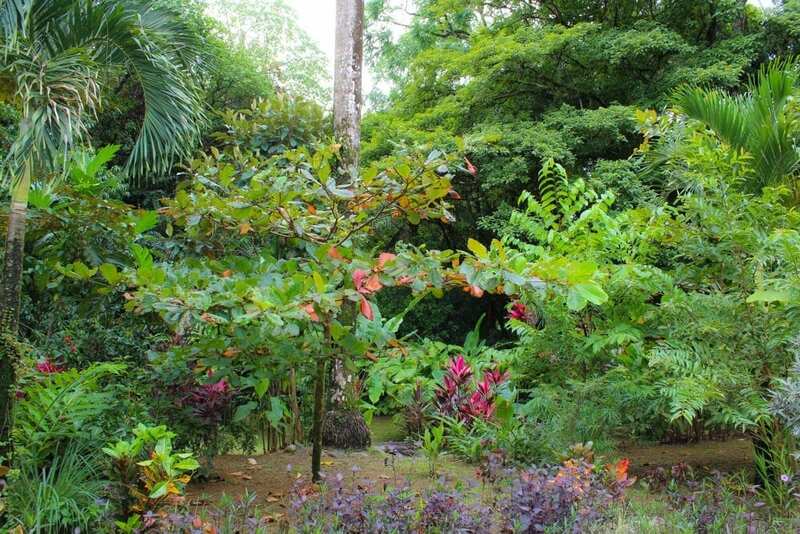 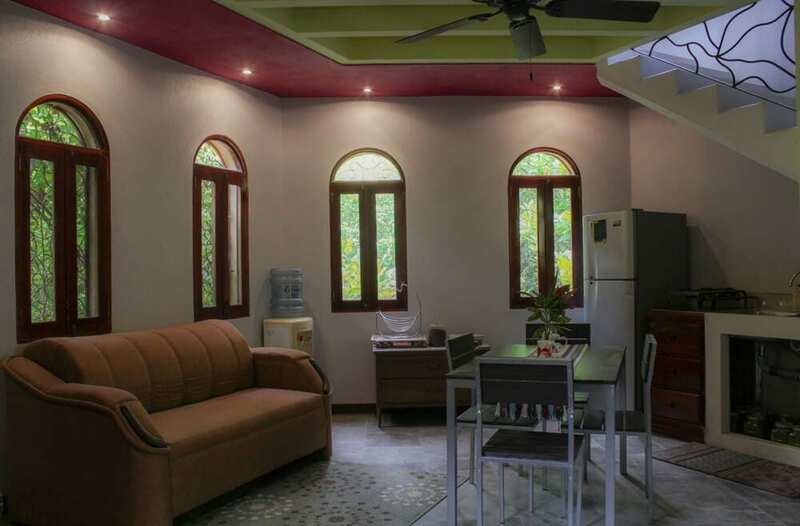 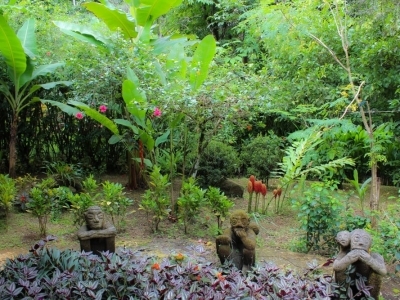 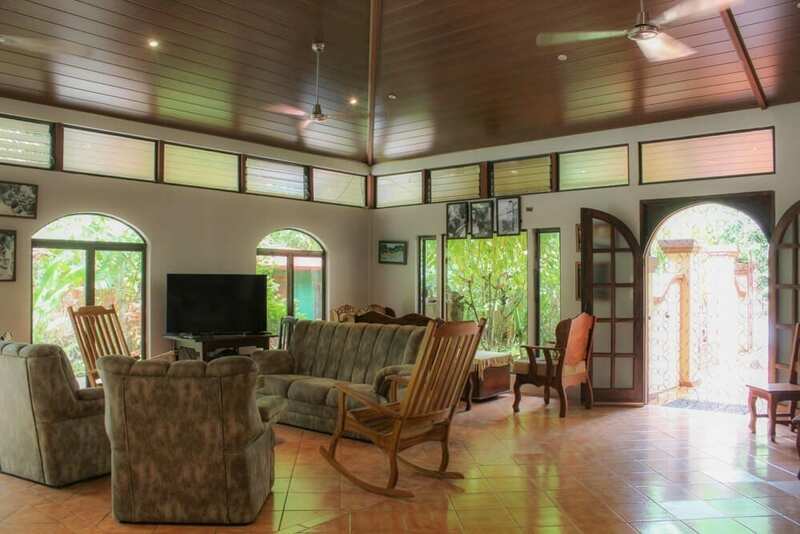 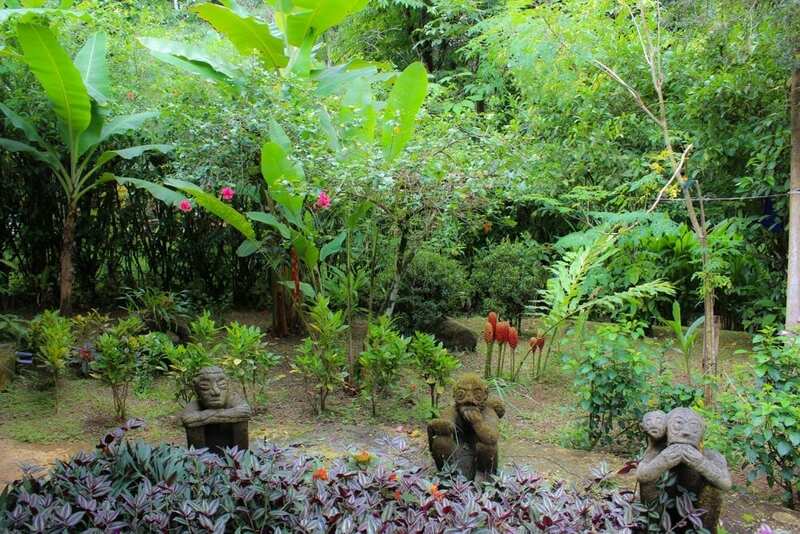 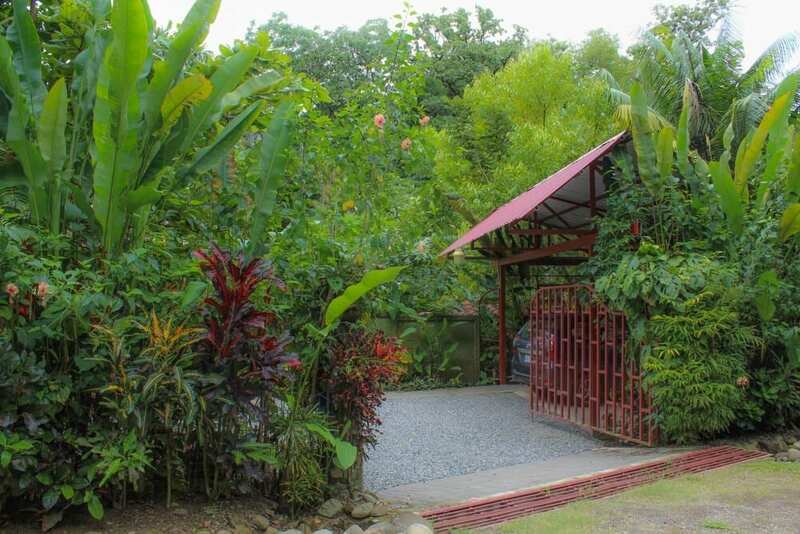 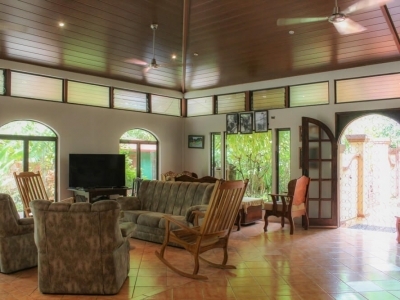 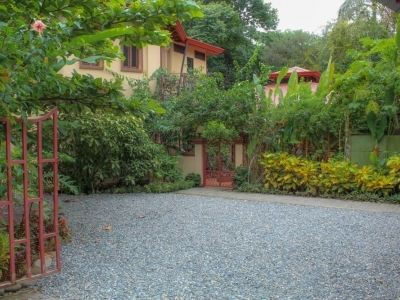 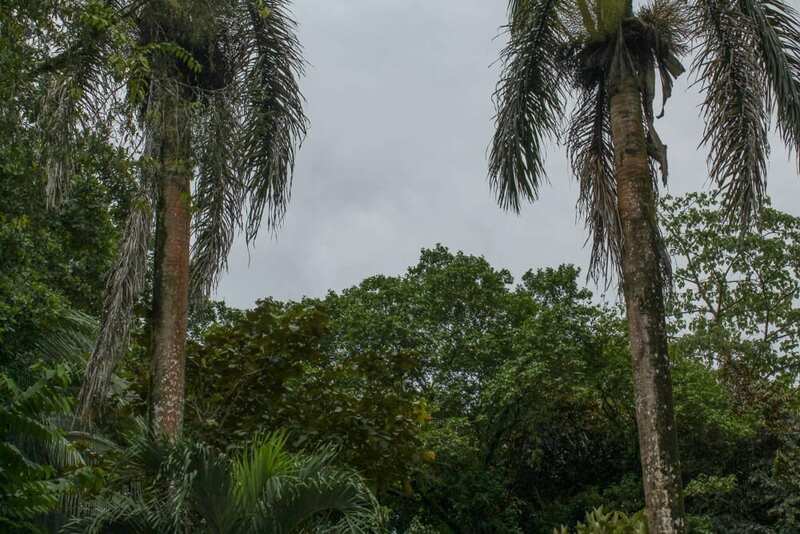 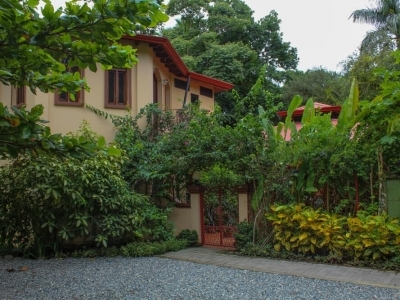 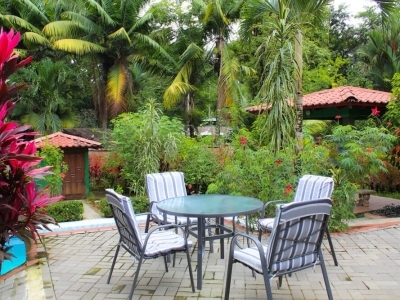 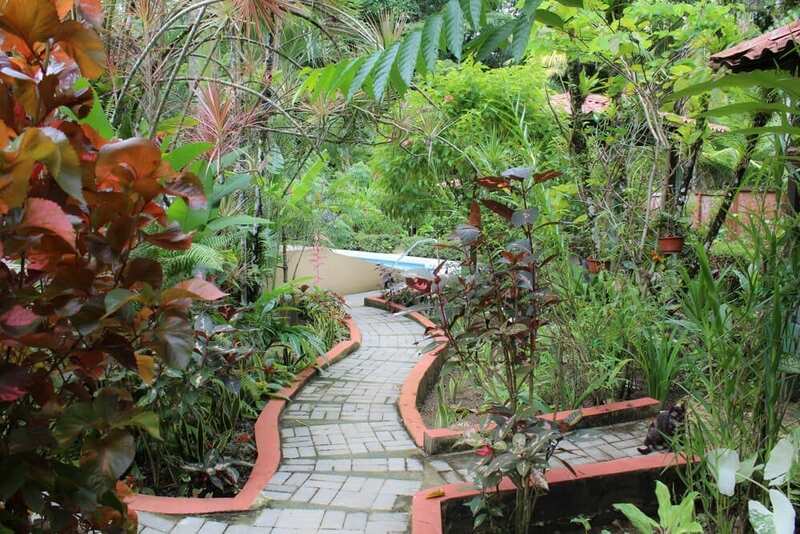 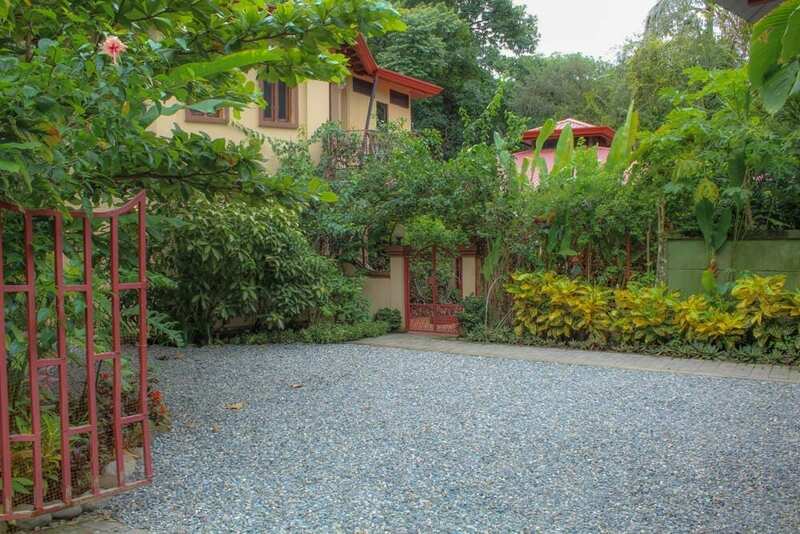 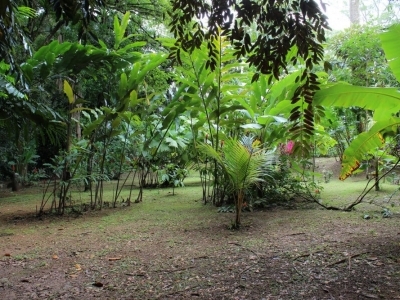 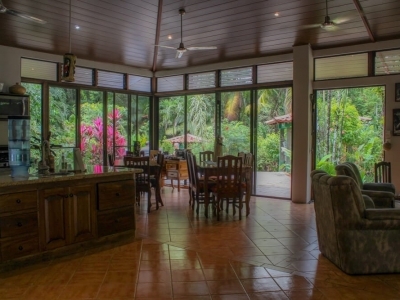 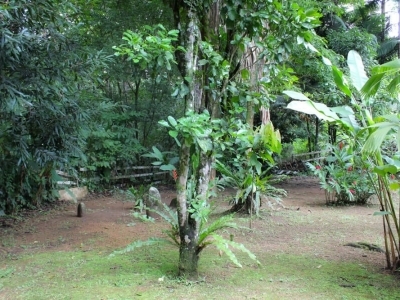 Located on one of the most favored roads, with desirable easy access, in the community of Ojochal, Costa Rica, this three-bedroom home has classic charm. 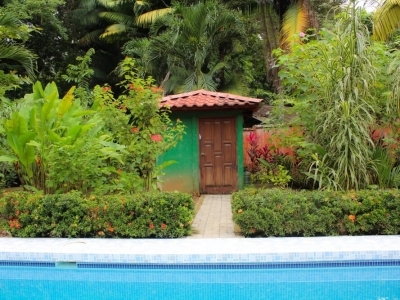 With a bit of polish, you will revive this architectural gem to its full potential, for romance and relaxation in the jungle. 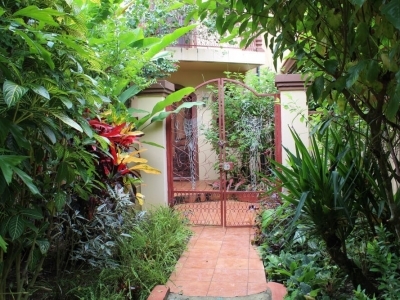 In a private location, yet within a 1 minute drive you can pick up fresh food & pantry items at the grocer, and visit a French café or dine at the infamous Citrus Restaurante. 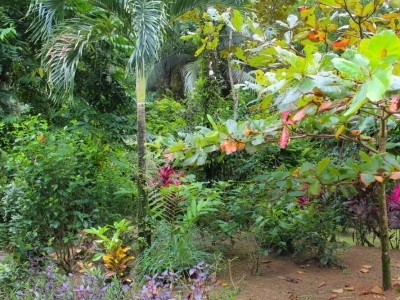 Or enjoy a 10 minute stroll to Tortuga Beach to observe dozens of Scarlet Macaws in flight. 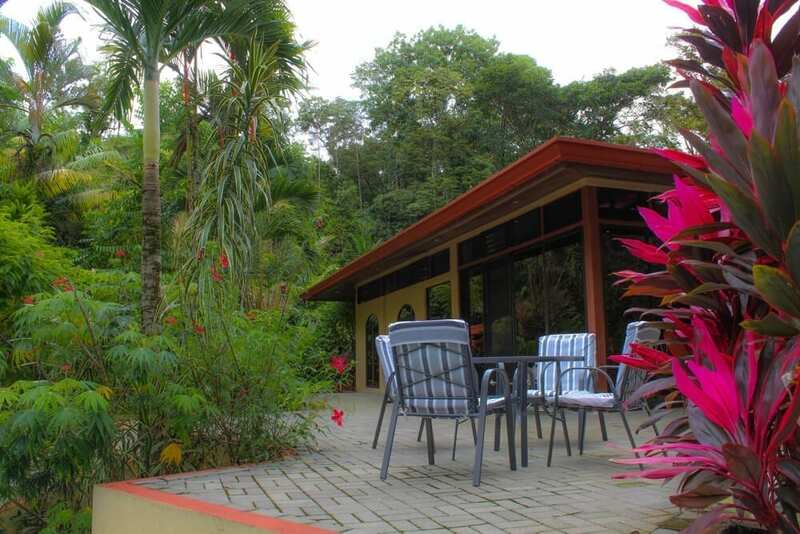 This truly is a fantastic location, with many other local restaurants within 5 minutes, and only 10 minutes to Uvita. 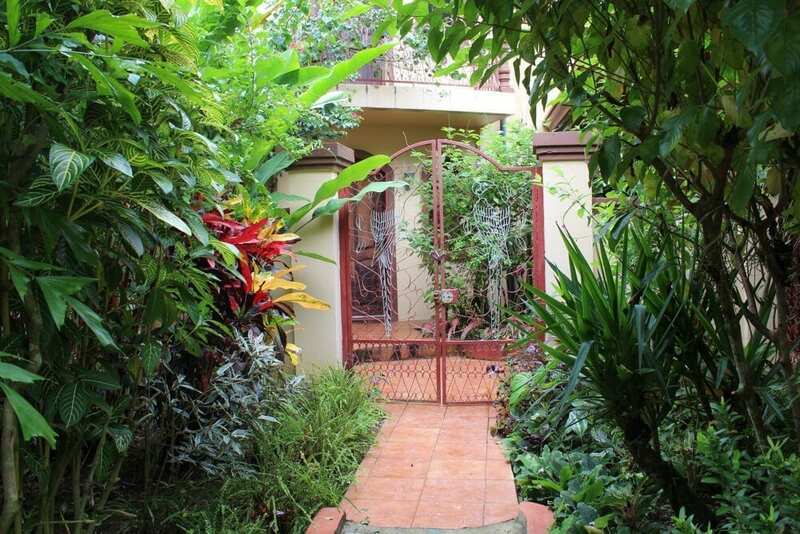 Walk in through a beautiful courtyard, through beautifully twisted wrought iron gates that provide security and add style, to the wondrous maze of lush landscaping and interlocking pathways, that create the scene for tropical outdoor living. 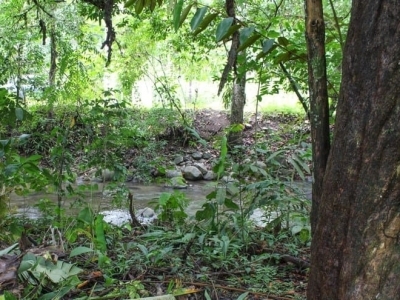 The year-round Balso river flows through the back of the property, making this truly an oasis to behold! 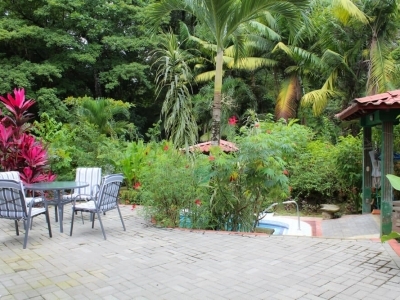 Nestled in amongst the gardens and under two towering King Palms, is a beautiful large powder-blue tiled pool, with an adjacent rancho to relax in the shade. 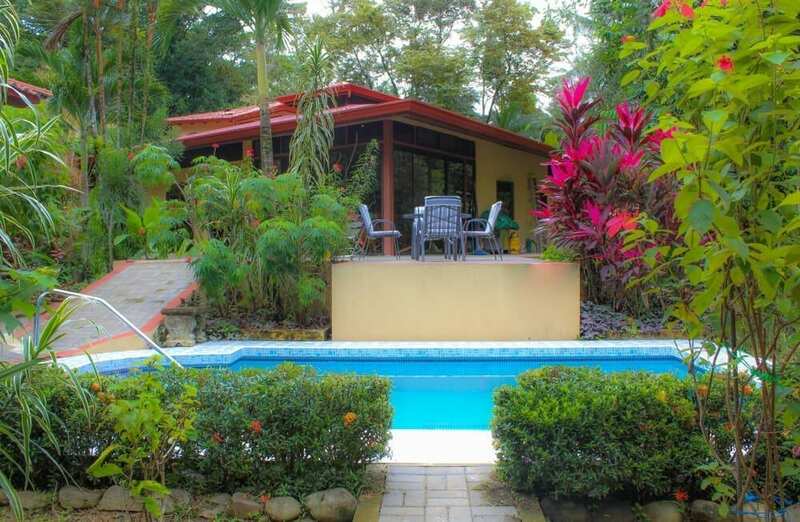 A BBQ pit and large bodega are conveniently located off the generously large terrace that wraps around the home, with a nook for el fresco dining overlooking the pool. 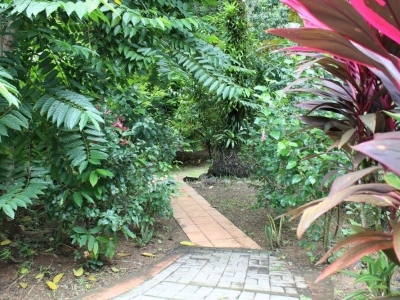 There is plenty of shade and gentle ocean and river breezes blowing throughout the property. 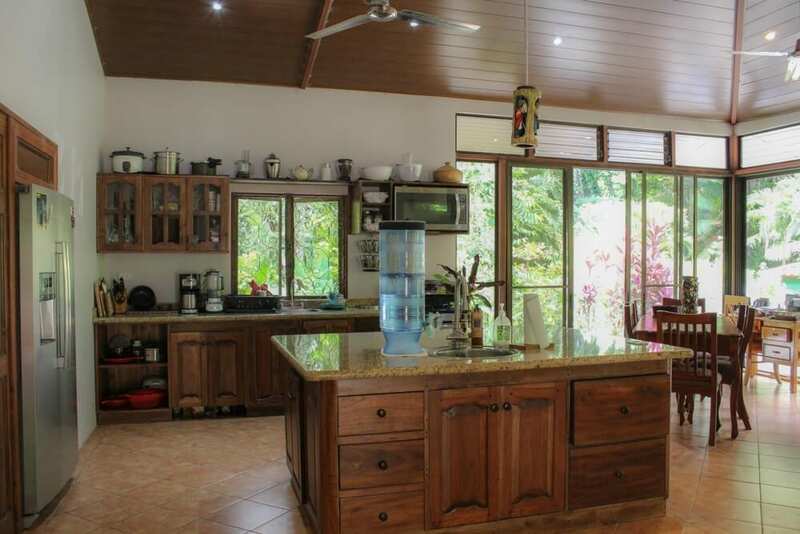 Step in through the solid, carved mahogany front doors, and into the huge open living space and kitchen. 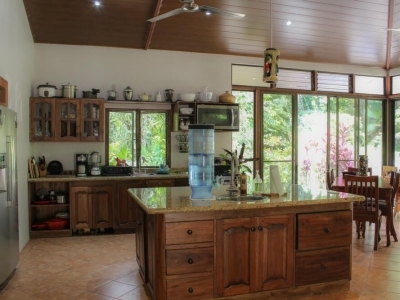 The kitchen benefits from great layout and ample counter space and cabinets, making meal prep a breeze. 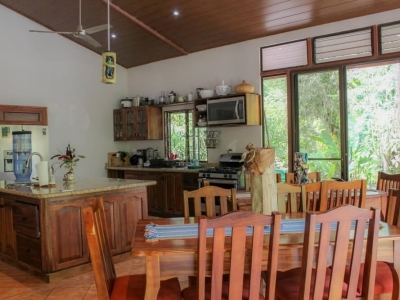 You can prepare lovely, fresh meals at home with produce from various weekly markets. 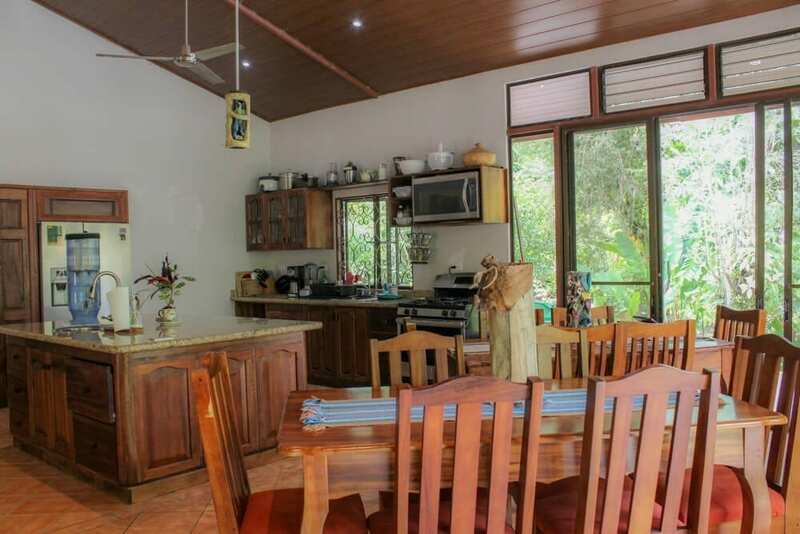 Cook while watching the hummingbirds buzz around, just outside the wrap-around windows and sliding doors that lead to the outdoor dining areas. 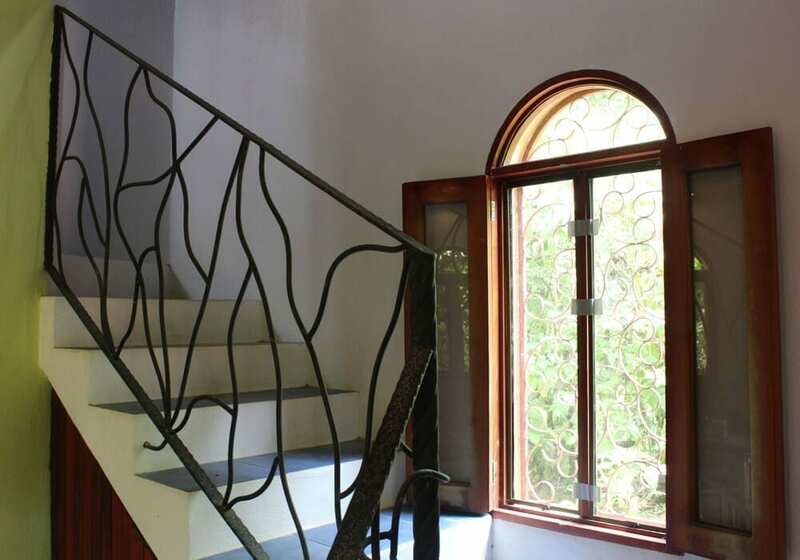 Intricate wood and iron detailing are the home’s most consistent decor feature, with tall arched and carved wooden doors that lead you into the two bedroom suites on the main floor. 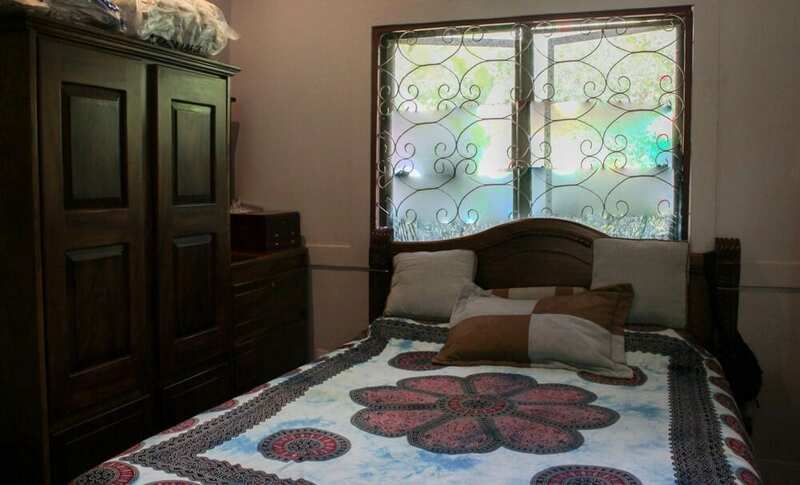 One suite is a cozy bedroom with plenty of closets, with a spacious ensuite bathroom with a shower, and the laundry facilities. 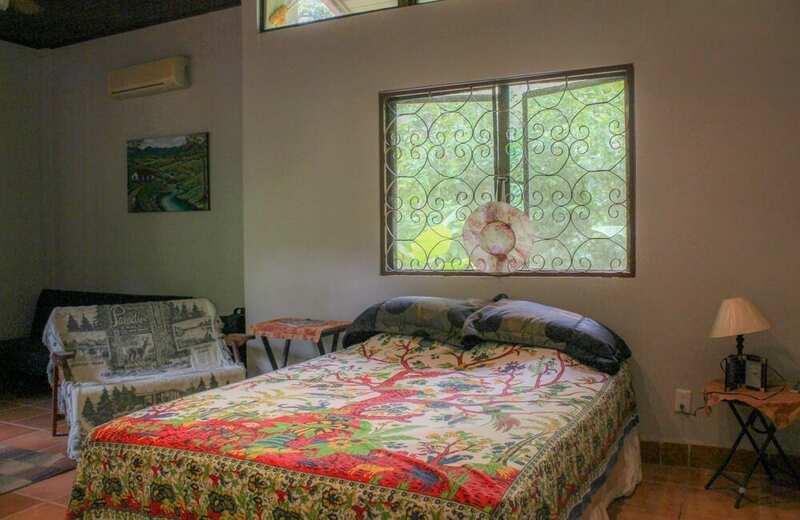 The second suite is a sizable bedroom, again with plenty of closets, and an ensuite bathroom with shower, that also services the main living area. 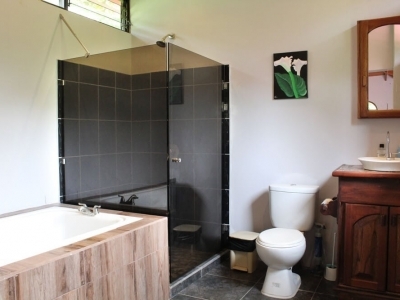 That suite also is connected to the tower and its separate amenities. 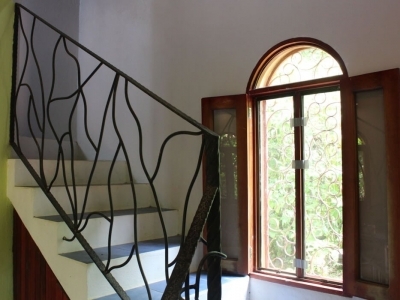 The third suite is located in the tower that is part of the homes’ architectural interest, with a romantic Juliet balcony outside the second floor bedroom, overlooking the gorgeous gardens. 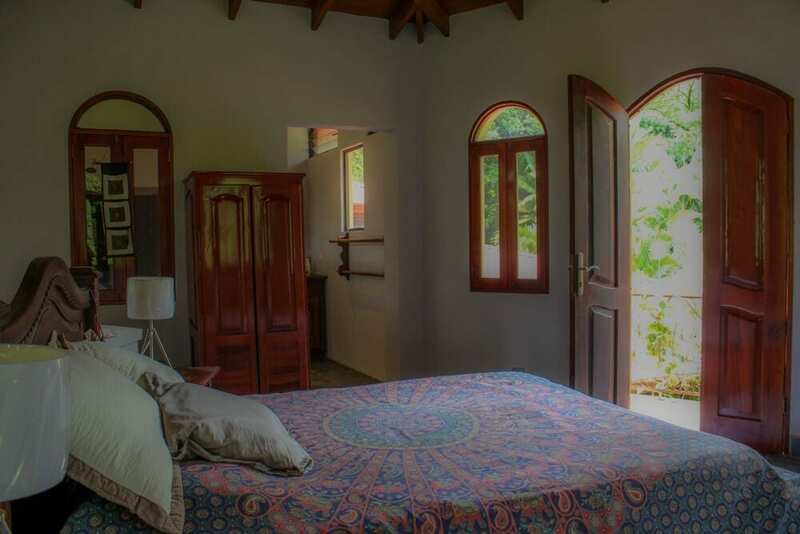 It is a private suite that can be accessed directly from a separate entrance in the courtyard, or through the second suite inside the home. 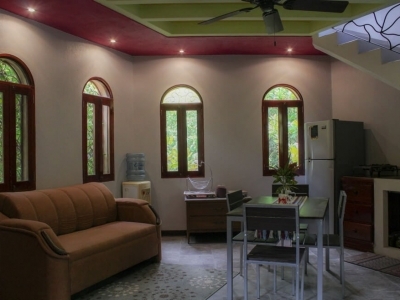 On the ground floor you will find an efficient kitchenette and living area. 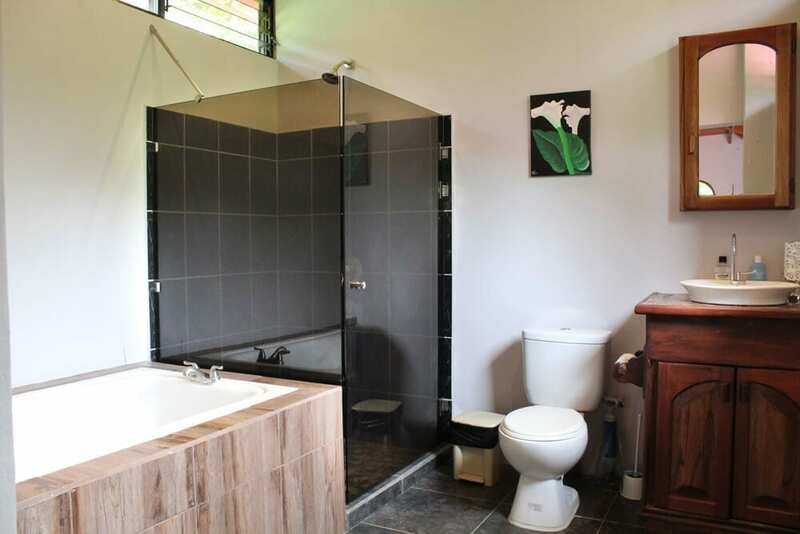 Up the tiled steps on the second floor is the large, airy bedroom with a spacious ensuite bathroom with a shower and a tub which adds to the romance of this guest suite. 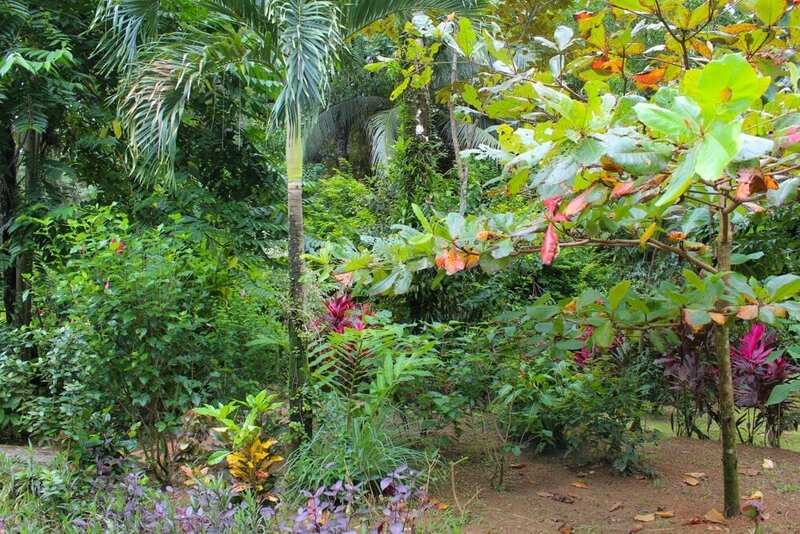 You will be proud to own this Ojochal oasis that is close to everything yet feels like a remote retreat to a floral, fragrant wonderland. 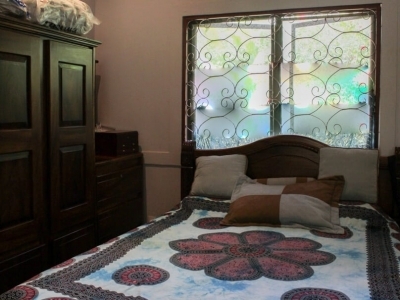 Reflected in the price, the sellers are motivated and desire a timely sale. 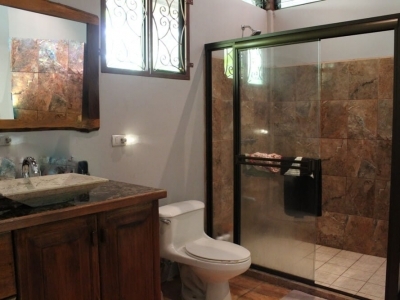 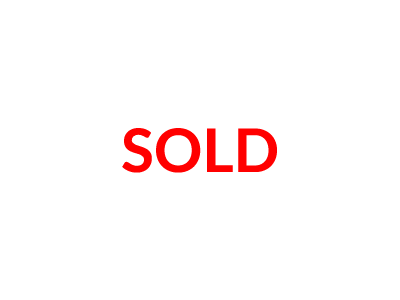 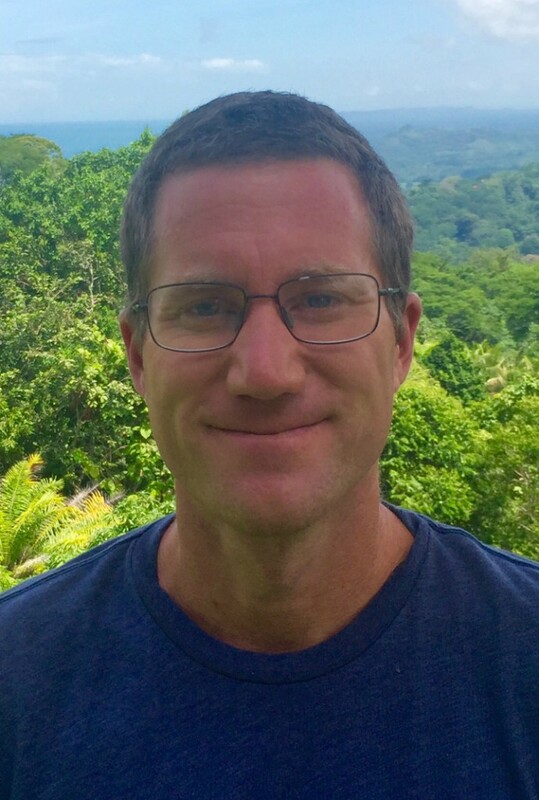 You will be challenged to find a property of comparable value for less on the market today.